'Mother Of Outcasts' To Be A Saint For Leprosy Work During a tragic era in Hawaiian history, more than 8,000 people with leprosy — now known as Hansen's disease — were banished to the island of Molokai. Mother Marianne Cope began caring for these patients in the late 1800s, answering their desperation with hope. Sunday, the nun will become a saint. A German-American nun will become a saint Sunday, nearly a century after her death. 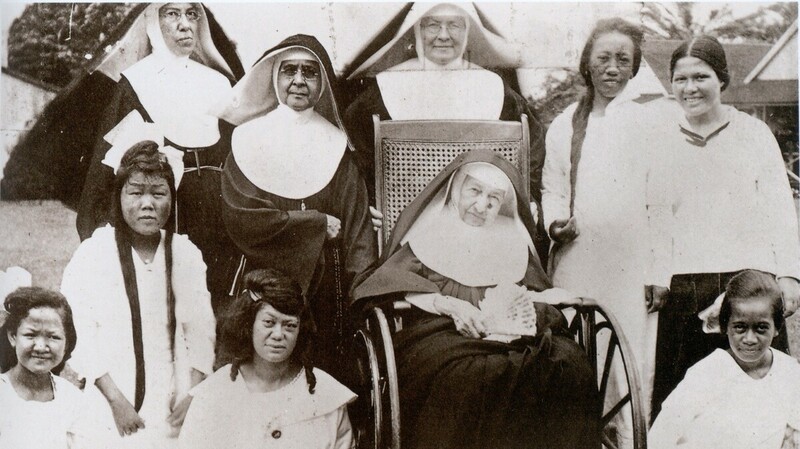 Mother Marianne Cope is the second person to be honored in this way for caring for people in Hawaii with leprosy, now known as Hansen's disease. Just five months before Damien's death, Cope arrived in Kalaupapa. She worked in Hawaii in the late 1800s and early 1900s. Sister Alicia Damien Lau says Cope risked her life to care for people with leprosy. "They had no idea what leprosy was all about and did not speak the language," she says. "They didn't understand the culture." Cope, a member of the Sisters of St. Francis, spent 35 years caring for leprosy patients in Hawaii, mostly in Kalaupapa. She died there of natural causes at the age of 80. Today, Cope continues to inspire Lau in caring for Hansen's disease patients. Lau says listening to their stories over the years has moved her to try to help some of them resolve their anger. "Being in Kalaupapa and being here in the early days was worse than prison," she says. From 1866 to 1969, anyone diagnosed with leprosy was exiled to the settlement. "Coming to Kalaupapa, once you got here, you knew that you would never leave Kalaupapa," she says, "and this was in the early days, before they found the cure for Hansen's disease, or for leprosy. And that was in ... the late [1940s]." Honolulu Bishop Larry Silva says Cope also gave people hope and dignity. "I think she took a situation where there was a lot of sadness and disfigurement, and tried to bring joy and beauty to it," he says. Silva points out that Cope planted flowers and fruit trees so the settlement would be beautiful and the residents would have food. Silva is going to Rome for Cope's canonization. For him, it's a personal journey: He grew up knowing his great-grandfather and great-aunt were sent to Kalaupapa, though some of his relatives kept their exile a secret. 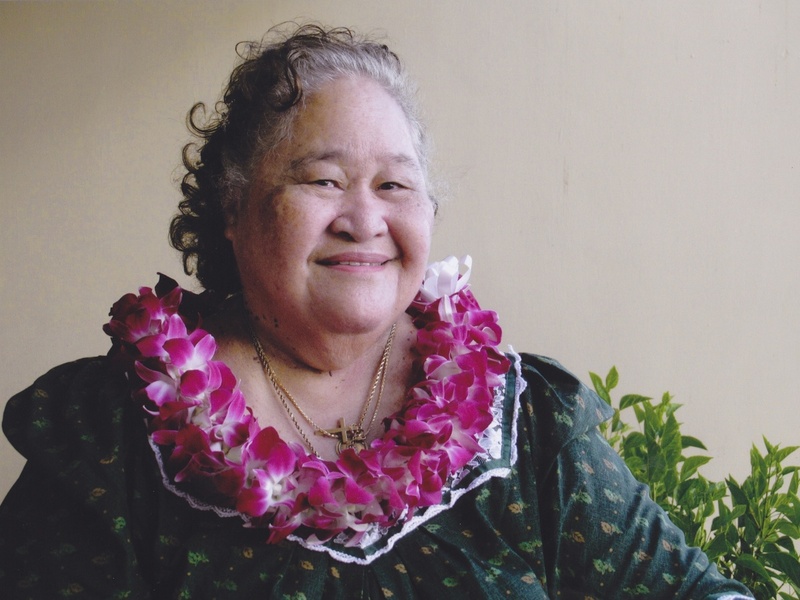 Gloria Marks, a Hansen's disease patient, has lived in Kalaupapa since 1960. "So I asked my aunt, 'How is it that your children never knew this?' And she said, 'We were told never to talk about this because if someone in the family had leprosy, the whole family was suspect,' " Silva says. Today, only 17 Hansen's disease patients remain in the state of Hawaii. One of them is Gloria Marks, who has lived in Kalaupapa since 1960. "You know, it takes a lot of courage for somebody to give up and come to Kalaupapa to care for the patient," she says, in tears. Marks attended Damien's canonization and will also be going to Rome to see Cope elevated to sainthood. "We are very, very proud of it. We can ... walk on clouds," she says. Marks says Hawaii should be proud to have two saints from this little island. Today, Cope's legacy lives on in Hawaii through the hospital she established, and through the work the sisters do in health care and education. They continue to take care of the elderly, the poor and the last remaining Hansen's disease patients in Kalaupapa.